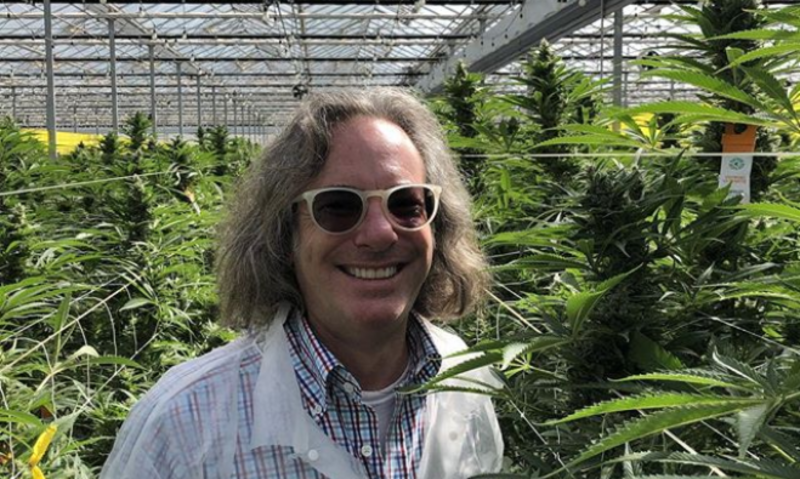 Warren Bobrow is a famous marijuana enthusiast and mixologist. These are the two passions of his life, and their mix can only result in something wonderful. His favorite art of spirited drinks is now shown in a cocktail book that contains dozens of recipes. These marijuana-infused drinks impress the audience with their diversity and delicious taste. His book Cannabis Cocktails, Mocktails & Tonics also contains useful information about the history of the pharmacists of the old times using cannabis-infused tinctures and drinks to treat their patients. In addition, the introduction of the book describes various ways of infusing alcohol, preparing tonics and tinctures to use them in the future for the delicious recipes in the book. At first, Warren Bobrow creates a large variety of tinctures, oils, milk, and syrups that allow the mixologist to bring the art of cocktail-making to the new levels. For a long time, the man has been trying to find the ideal balance between alcohol and weed. If you have ever wanted to make a cannabis-infused cocktail, add THC to your Bloody Marry or absinthe, you simply have to read this book for some knowledge and inspiration. Here are a couple of the author’s recipes that can surely inspire you to read the whole book. If you wonder what cannabis strain to use for these drinks, we can recommend you to experiment a little and try to use the Blueberry strain for the following two drinks. As all indica-dominant hybrid strains, this one will provide you with the necessary relaxation and happiness. This strain adds both sweetness and exotic notes to your marijuana beverage. This is a classic cocktail that comes from New Orleans. However, some of the ingredients that Warren Bobrow uses in his recipe slightly differ from the traditional way, which makes the beverage taste even better. Before you start mixing the drink, fill a glass with cannabis smoke to enhance the wonderful aroma of your future Dramatis Personae. Then, immediately fill the glass ¾ with ice and add all ingredients except for absinthe. The author then recommends you to stir the ingredients 50 times. Only then you can spritz your drink with cannabis-infused absinthe. The sweet berry flavor of the Blueberry strain will add the necessary sweetness to the drink. Have you ever tried the famous Bloody Mary before? If it is your favorite drink, we recommend you to read another recipe of Mr. Bobrow that adds a bit of spice to this drink. A Bloody Good Remedy has one special quality that will surprise you—the drink has no alcohol in it. Besides, it is just lightly medicated, so you do not have to worry about overwhelming effects. You simply have to fill a glass with a lot of ice, pour the tomato-clam mixture into the glass, and add some tincture that you have at home. This recipe allows you to experiment with garnishes—be as creative as you like. Besides, you can add a few blueberries or grapes as a garnish instead of using a berry-flavoured tincture. The combination may seem strange at first, but it is something new for you to try. All drinks in this book are elegant and full of nuances that can help you understand the mixology a little better. Besides, each one of them, from the simple coffee to complex alcohol drinks, has its own author notes that are full of useful information and present the drink in an ideal way.